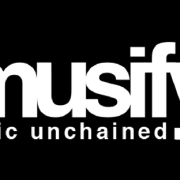 imusify is an award-winning p2p music platform being built on the NEO blockchain that is reinventing the global music industry in order to liberate music makers, music fans, and music entrepreneurs. Let imusify help you find your creative voice, build a loyal following, discover great music, and reward your contribution. Develop and execute a process for adding content to all social media platforms hourly. We will compensate with our own native cryptocurrency IMU after ICO. If everything works well we will talk about salary.